I had the honor of interviewing Dr. Laureano, Executive Director of Neighborhood SHOPP, about the history of and model used by Neighborhood SHOPP. In our next blog post, Dr. Laureano shares with us her visions for the future of the elder justice field in New York City. 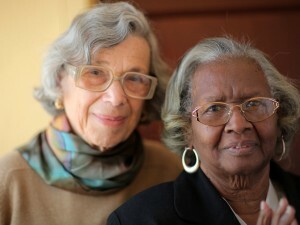 Neighborhood SHOPP is a non-profit multi-service organization that was established in 1980 and serves older adults. Neighborhood SHOPP’s mission of empowerment is based on the philosophy of self help and mutual assistance. They believe that older people are capable of helping themselves and help others improve their capacity to deal with the physical, emotional, social, and financial challenges they face as they age. Neighborhood SHOPP’s philosophy of self help and mutual assistance is translated into programs which empower older persons to maintain and restore their capacity for a viable, creative and productive life in their community. With Neighborhood SHOPP involvement, older adults are provided with opportunities to achieve their potential by strengthening their social support systems, improve their quality of life and become stakeholders in their own communities 1. Neighborhood SHOPP’s Elder Abuse & Crime Victims Violence Intervention & Prevention (VIP) Program began in 1995 as a result of staff members noticing that the organization was serving a large number of elders who were being financially abused by family members. The VIP program has a small staff but covers three quarters of the Bronx. It has served over 1,000 elder abuse victims since its inception. Neighborhood SHOPP also has a case management program that feeds possible cases to the VIP Program. Outreach and education focusing on elder abuse and crime prevention presentations provided to local community groups, senior centers, Precinct Advisory Councils, community board meetings and interagency councils. Screening, intake & assessment to determine an individual’s situation and needs, identify the nature of the abuse or crime, engage the individual in a helping relationship, and determine a preliminary intervention plan. Assistance and services related to benefit and entitlements are provided to eligible individuals appropriate to their situation and needs. Crisis or threatening situations in which an individual is at risk require urgent intervention and are addressed immediately. Oftentimes service systems and organizations view the social worker as the authority, and do not recognize the client as an expert in his or her own life. The VIP Program partners with older adults to restore their positive connections and support their opportunities for interdependence and mutual assistance. Dr. Laureano referred to this as helping older adults develop a “kinship support system” made up of neighbors, friends, fellow church congregants or other non-relatives. Since older adults are often isolated and in need of social support, the VIP Program assists older adults in finding ways to connect and build relationships with others in their communities. Historically, human service workers have not represented the ethnic background of the clients being served by an organization. Neighborhood SHOPP has a commitment to hiring employees who share the same ethnic background as the older adults who receive services from the VIP Program. Since Latino and African American cultures identify heavily with their nuclear and extended families, Neighborhood SHOPP hires many Latino and African American employees. Thus VIP program workers are prepared to serve the entire family system, not just the victim. This is the case even when a family member is abusing the older adult, which highlights to complexity of elder abuse cases. The VIP program serves as an excellent example of a program providing crucial elder abuse services to diverse populations, empowering older adults and remaining committed to recognizing client strengths. This is part one of a two part blog series. We will post another blog that provides you with Dr. Laureano’s visions for the elder justice field.